In “The Red Angel,” Star Trek Discovery finally shows us the face behind that future space mask. It’s startling. Feelings are mixed. Michael Burnham heals some relationships with the men in her life this week, but the return of a particular woman into her life is gonna cause some stress. We thought Georgiou was going to be Leland’s biggest problem, but then he went and got stabbed in the eyes. These seem to be trying times for him. Airiam has a nice funeral that really tugs at the heart strings. 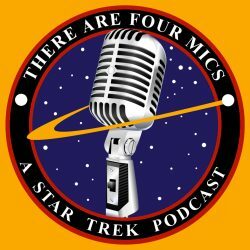 Hanelle M. Culpepper is back at it in the Discovery universe! And “The Red Angel” is a pretty critical episode in the season’s arc. She popped by most recently in last season’s emotional “Vaulting Ambition.” But she’s here to stick around as she’s been announced as the director of the first episode of the upcoming Picard series on CBS All Access. With that, she’ll become the first ever woman to direct a pilot episode of a new Star Trek series. Jayne Brook is still hanging around the Discovery! After taking down the Section 31 base in last week’s “Project Daedalus,” she’s ready to tackle the Red Angel mystery. Fortune shines upon us! We’re lucky to be blessed by her continued presence on ship. Michelle Yeoh is also back as the ever-complicated Philippa Georgiou. Sometimes she’s dabbling in fascism, other times she’s being a real pal to Michael Burnham. It’s been a couple episodes since we last saw her in “If Memory Serves.” We have complicated feelings about the character. Our feelings about Yeoh herself are exclusively positive. Ethan Peck gets a special shout out this week as Spock. While we’ve never been unhappy with Peck in the role, it’s now especially clear how perfect he is for it. Feel like since Peck gets a shout out, Anson Mount as Captain Pike must get one as well. He’s a goddamned national treasure. 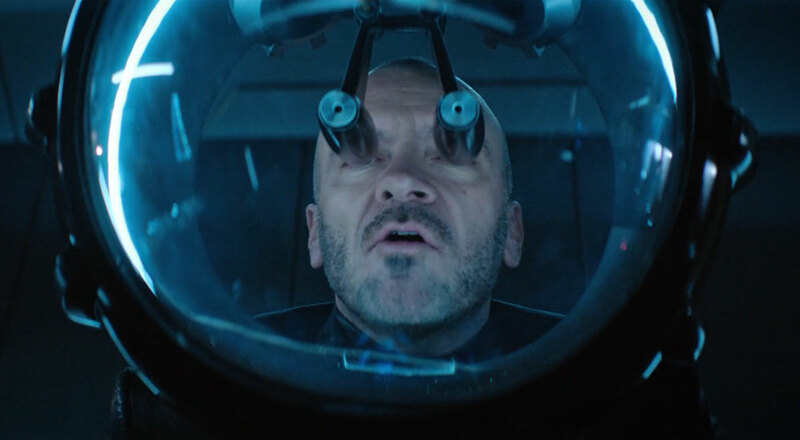 Alan Van Sprang returns to us as Leland, but he has a real tough time this episode. So I’m not sure what’s in store for him in the future. He gets punched in the face and then stabbed in the eyes? Not looking great. Sonja Sohn, best known for her role on HBO’s The Wire, is introduced as Michael Burnham’s mother. That’s a serious spoiler if you haven’t watched the episode, and for that I apologize. Sarah Mitich played Airiam in the first season dating back to “Context is for Kings.” Since the first episode this season, however, she’s been playing Lt. Nilsson.